People's Artist of the USSR, legendary Russian actor and director, Oleg Tabakov died on March 12, 2018, at the age of 82 years. 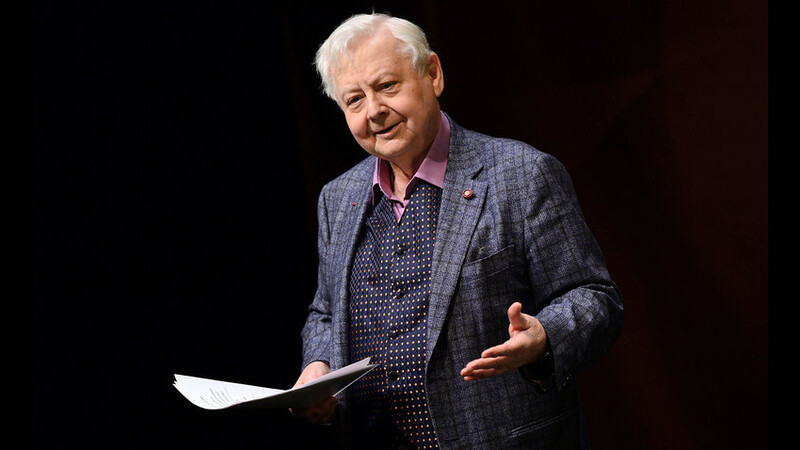 "Oleg Tabakov, the great actor of a great era, died: the man loved by the whole country has gone," journalist Dmitry Smirnov wrote, representing the voice of numerous admirers, colleagues and students, mourning the death of the master. Having been the head of one of the most significant Russian theatres for 18 years, the Chekhov Moscow Art Theatre, Tabakov was one of the most important Soviet and Russian theatre and cinema actors for many generations of Russian people. “In my opinion, Tabakov’s personality is equal to that of Stanislavsky [the world-known creator of the classical acting system]. Perhaps he left behind even more than Stanislavsky, including the great artists, who were his students, and, of course, his performances on the screen. So this is a huge loss for our culture," the Russian director Stanislav Govorukhin told Russian journalists. The actor became famous to numerous Soviet and Russian children for his distinctive voiceovers of numerous cartoon characters. Tabakov's voice, usually given to cartoon heroes, instantly made them charismatic, memorable and loved by the audience. Tabakov’s most famous work is probably Matroskin The Cat in the series of Soviet cartoons 'Three from Prostokvashino'. He also dubbed the main character of the Garfield feature film into Russian. Among the best-known works of Oleg Tabakov are Soviet classic films such as the Academy Award-winning Moscow Does Not Believe In Tears (1980), Famous Soviet TV series Seventeen Instants of Spring (1973), Oblomov (1981), War and Peace (1966–67), D'Artagnan and Three Musketeers (1978), A Man from the Boulevard des Capuchines (1987), and many many more. Tabakov was one of the founders and directors of another significant Russian theatre, Sovremennik, as well as the head of the Tabakerka studio. The actor had constantly traveled the world both on tours with the Moscow Art Theatre and doing master-classes for actors, spreading his professional wisdom across the globe.